Selling one Apex Microscope, used once, very good condition, like new. £60 ONO (RRP £80). 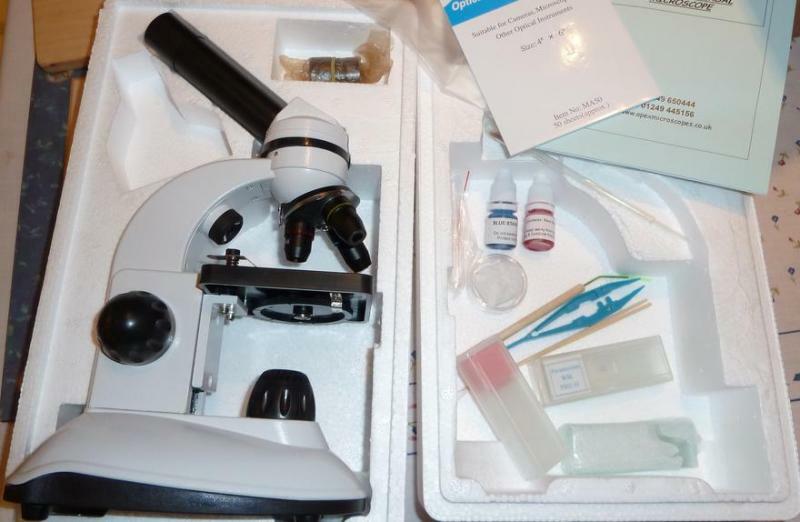 The entire kit contents and the microscope itself are all in very good condition, and come packaged in a hard styrofoam mould within a cardboard box, which is useful for storage. All the kit contents can fit in a depression in the styrofoam mould. Selling for 25% less than the RRP, this microscope would be beneficial for anyone studying, or with an interest in, biology and/or other natural sciences.